Restaurant owners spend a great deal of time and money getting customers into their establishments. As business owners we know that this is important but also important, how do we insure continuing loyalty from these customers. 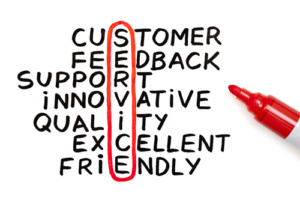 The most important factor in keeping customers loyal is customer service. Customer service can be a very elusive concept. Most of us know what it is and all of us know what it is not. Where does customer service start? Good customer service starts with you, the restaurant owner. Your employees are on the front lines when it comes to customer service. Employees who feel appreciated and recognized by management are more likely to execute exceptional customer service. One of the best ways to encourage your staff is to single out each and every employee monthly and recognize the job that they do. In this way your employees will be encourage to do their personal best and in turn they will take pride in their job and deliver better customer service. So that being said, what steps can add to a unique dining experience and ensure excellence in customer service? Train your staff to be people persons. Start by learning customer’s names. People love to have someone remember their name. By engaging customers in conversation you can learn names and their likes and dislikes. This means not only remembering their name but also what may make their particular order unique. Also by engaging customers in conversation you can learn details and information that can be used at subsequent visits. By knowing what to ask customers and remembering details spotlight that customer and helps in gaining their trust. Constantly smile. When customers are greeted with a smile it sets the stage for a great dining experience. Treat your customers like family. Of course ensure that great experience starts the minute they hit the door. Long waits can discourage customers from returning. Wait times may indicate popularity of your restaurant but they can also reflect an inefficiently run restaurant. The remedy may be to hire more staff or to train your current staff to run more efficiently. Also if you can deliver on food, prices, service and atmosphere, customer will usually wait up to 60 minutes. Customers expect quality and consistency. They expect quality in your highest priced dish all the way down to their after dinner coffee. Once they are seated, if they are waiting too long to see a staff member they may not return. Quality is not only in the delivery of the food but the presentation. If customers have received a superb dining experience and return to find poor service and a meal that is delivered cold, they will not be back. Consistency is a great motivator for returning customers. Your menu needs to be diverse. Customers who are not finding enough options in your menu may not return either. Today customers are looking for healthy eating options, organic or gluten free options. Vegans also need to be able to find alternatives on the menu. Be sure to keep your menu fresh and varied. Ambiance is one of the factors that sets your restaurant apart from others. Part of that ambiance is cleanliness. It has been noted that for this reason alone, customers will not return. Filthy restrooms, unswept floors, an unhealthy kitchen or un-bussed tables can reflect badly on your establishment and should be corrected immediately. Ask for customer feedback. Encourage new customers to complete a guest card. This is an easy opportunity to gain information on your new customer and to determine the quality of their experience. 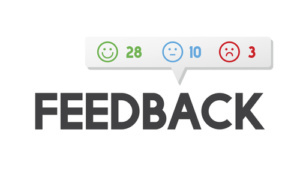 If negative feedback is received, by addressing the situation and trying to resolve it you may still be able to retain this customer. Remember that word of mouth can be your greatest asset in bringing in new customers. Offer a type of loyalty reward program to your following. If a customer loves their experience and is offered a reward after so many visits they will be likely to keep returning. From car washes to grocery stores, most businesses have rewards programs because they work. Encourage your customers to bring in friends by offering specials, such as “buy one, get one”. Another service that will encourage customers to return is online ordering. People love convenience. Customers may love everything about your restaurant but they may not always want to or have the time to allot for a sit down dinner. Offering this option gives your customers the ability to enjoy your food and add to your bottom line. Customers will appreciate your flexibility and this will help with customer retention. Each new customer that walks into your restaurant is like gold and should be treated as such. For every new customer you greet you have the potential to bring at least 5 more to your door. And with each one of these customers you have potential to make them returning customers. Bottom line, with excellent customer service, consistency and innovation your restaurant will thrive.